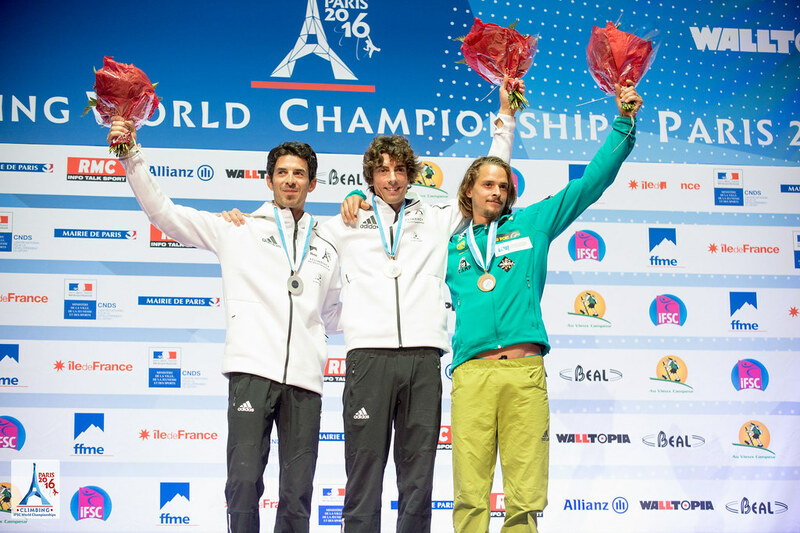 Find the complete Medal Count here. 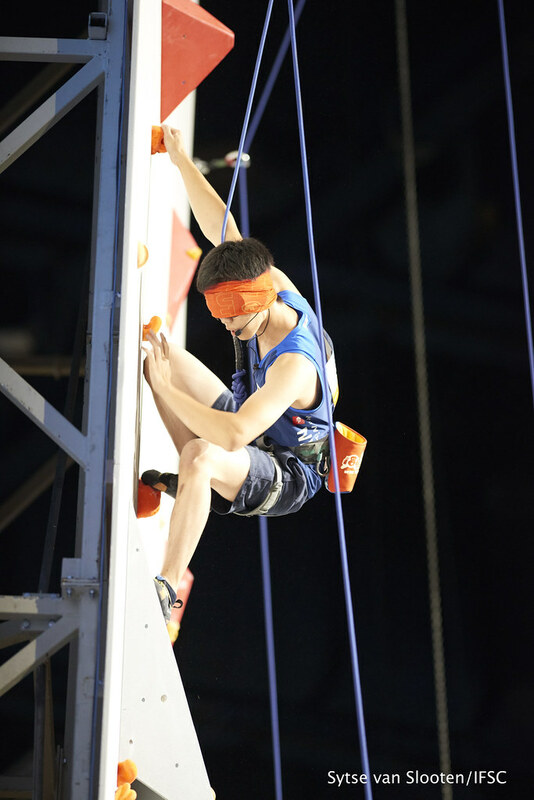 When the Men B2 (visual impairment) finalists stepped up to the Finals wall on Friday, the entire Arena fell silent, out of respect for the communication between Athletes and their coaches who direct from the ground. 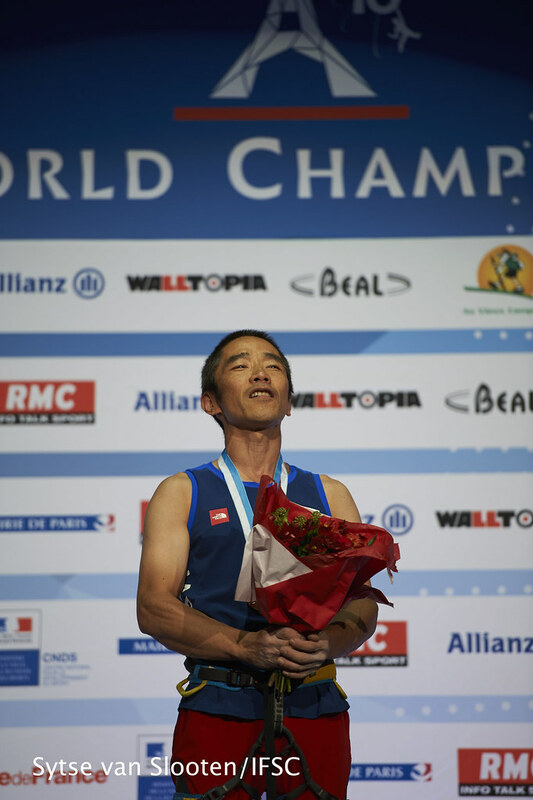 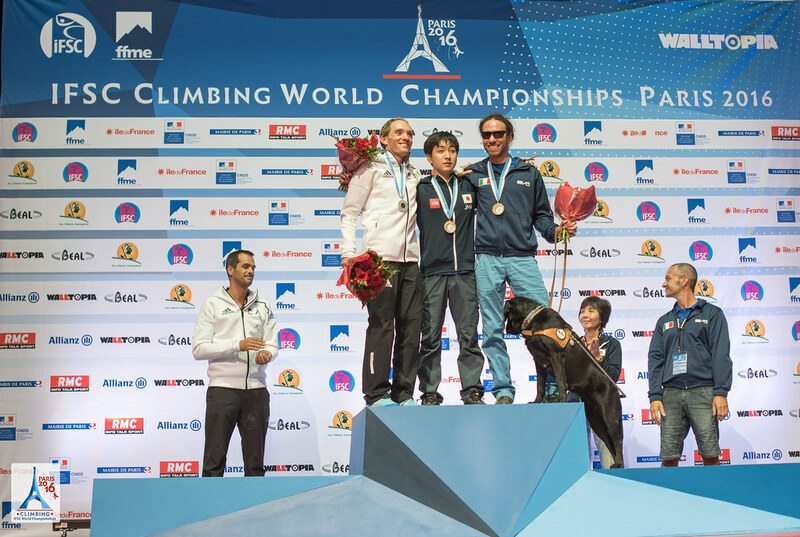 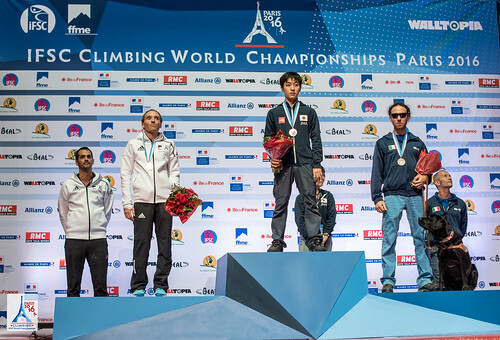 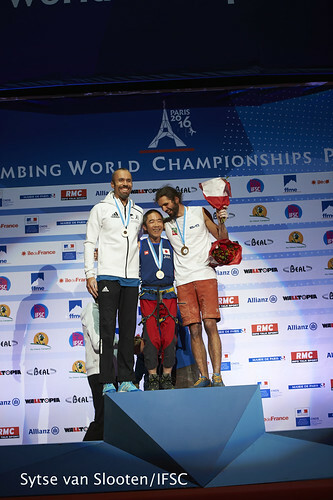 Mathieu Barbe of France was the first Athlete to Top and placed second, but Sho Aita of Japan donned Gold after pausing to solve the final move. 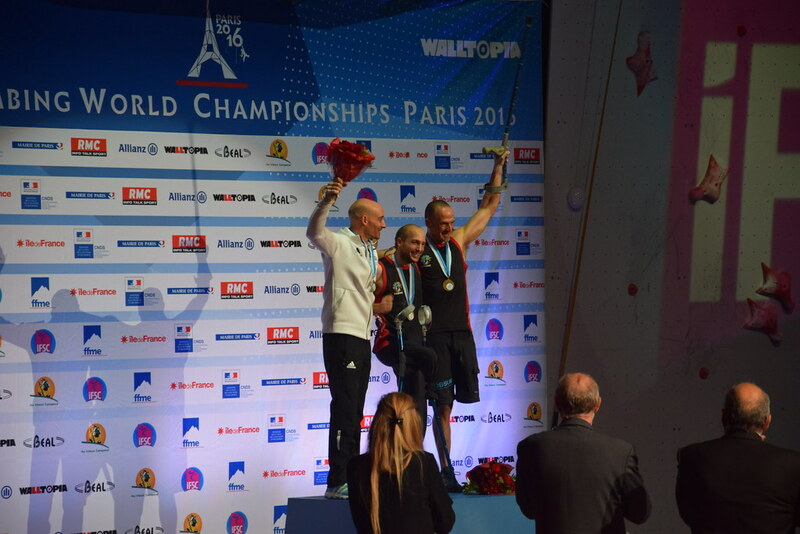 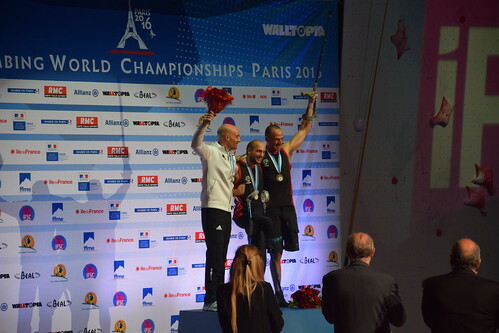 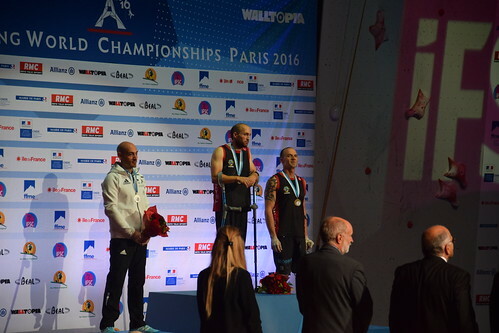 Korbinian Franck and Nils Helsper won two medals for Germany in RP1 (limited range, power or stability), and Nive Porat earned Gold for Israel as the only Man to Top in the RP2 category. In RP3, teammates Romain Pagnoux and Mathieu Besnard finished first and second and brought home more medals for France. 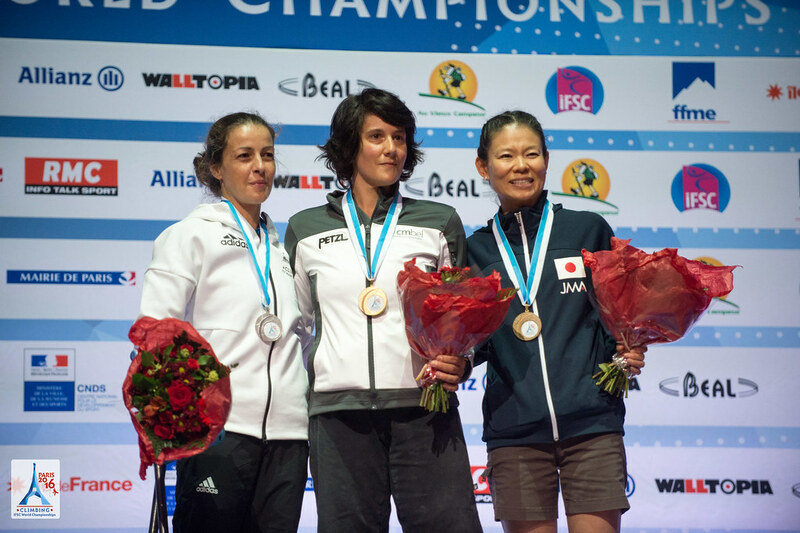 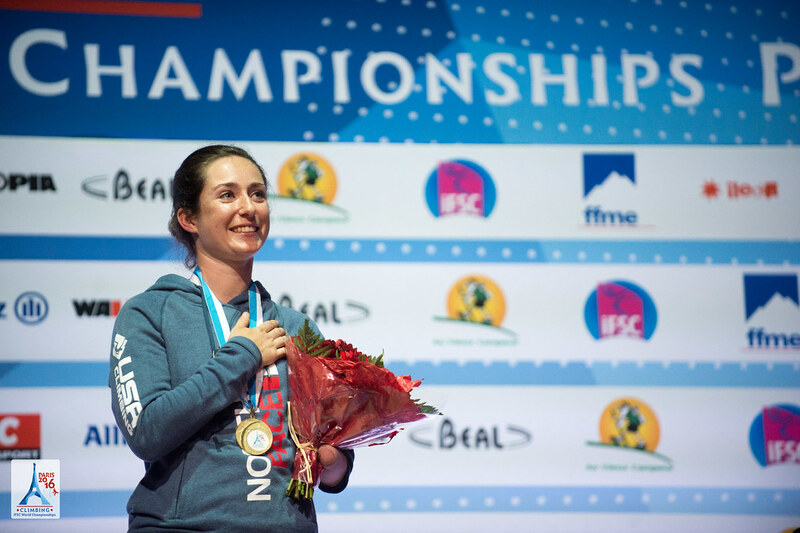 For the Women, eight countries were represented on the podiums. From Belgium, Elodie Orbaen defended her place atop the RP3 category in the final round. 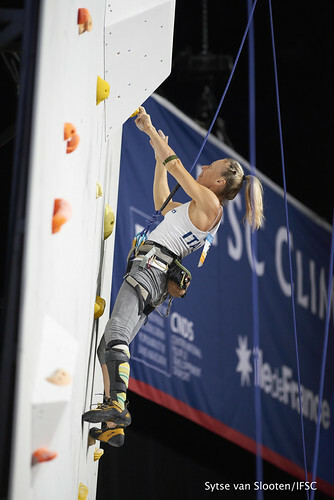 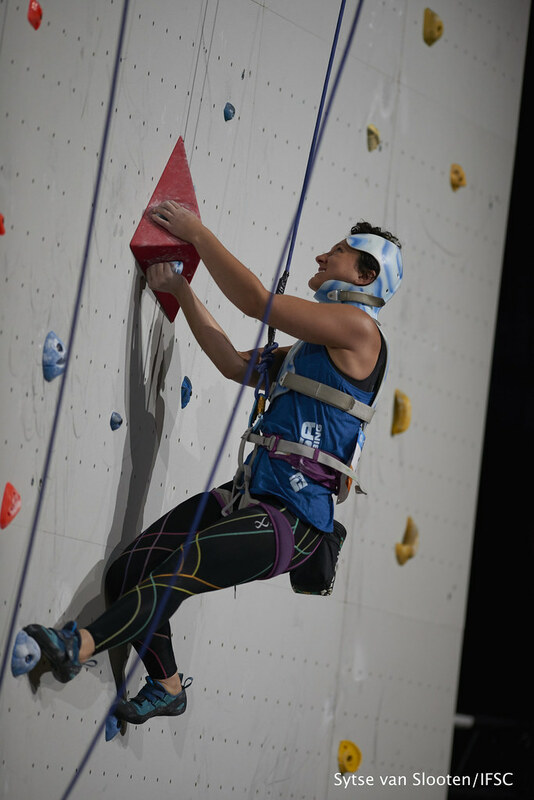 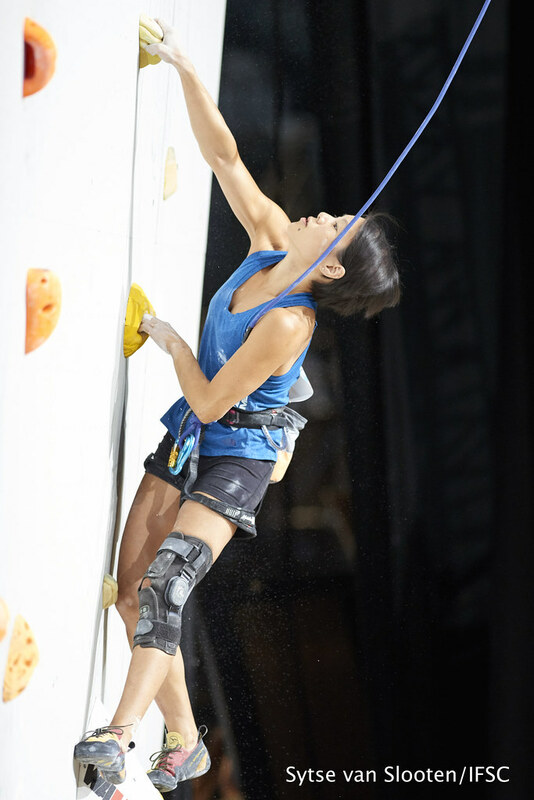 When both Athletes were tied after three rounds, Maureen Beck of the USA edged Melinda Vígh of Hungary in AU-2 (forearm amputees) by climbing the Finals route in less time. 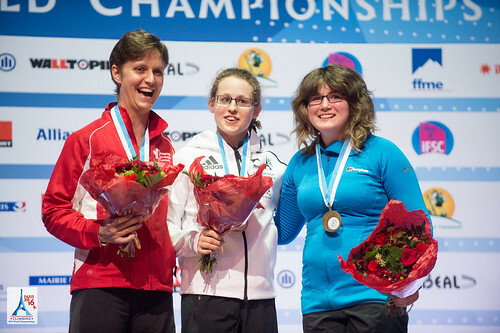 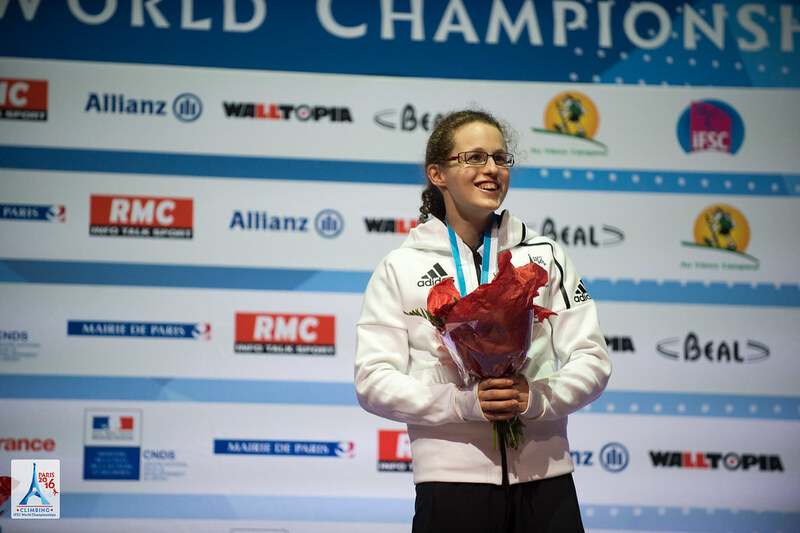 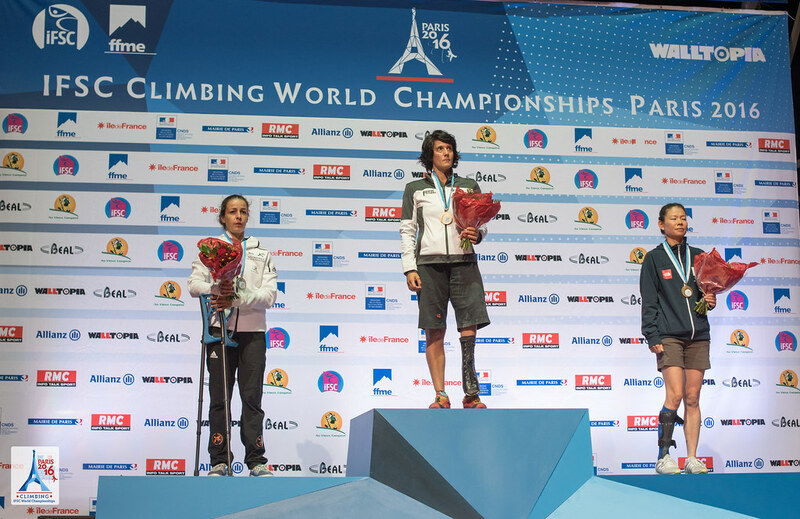 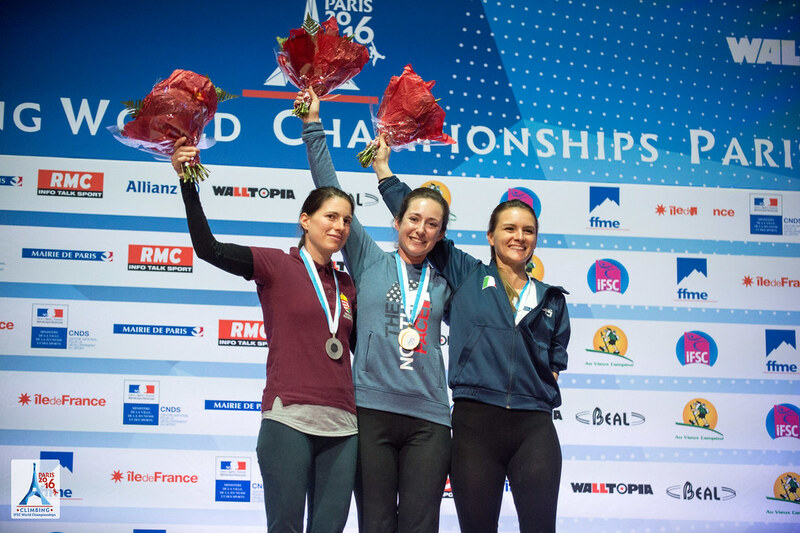 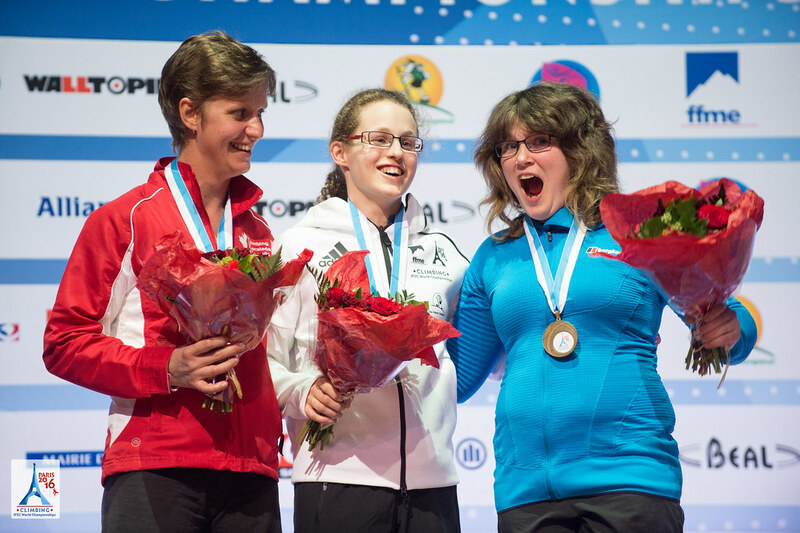 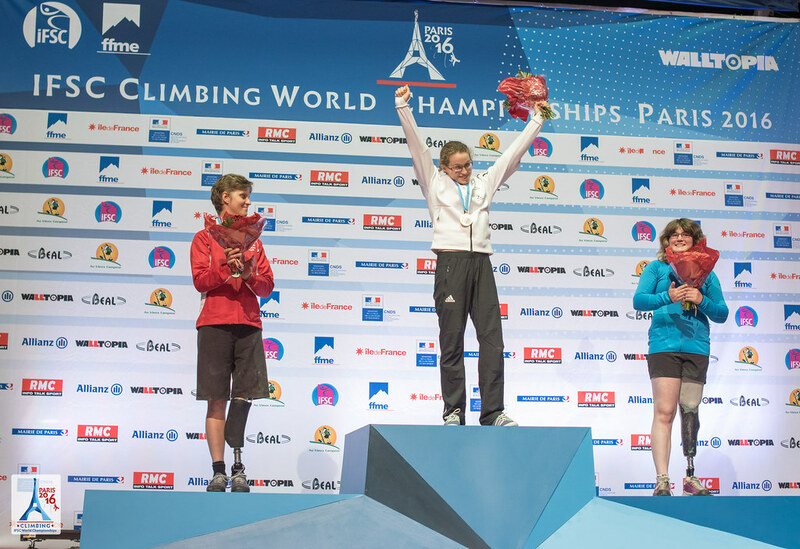 Three French woman wore medals, including Luci Jarrige, who remained unbeaten all week in AL-2 (leg amputees). 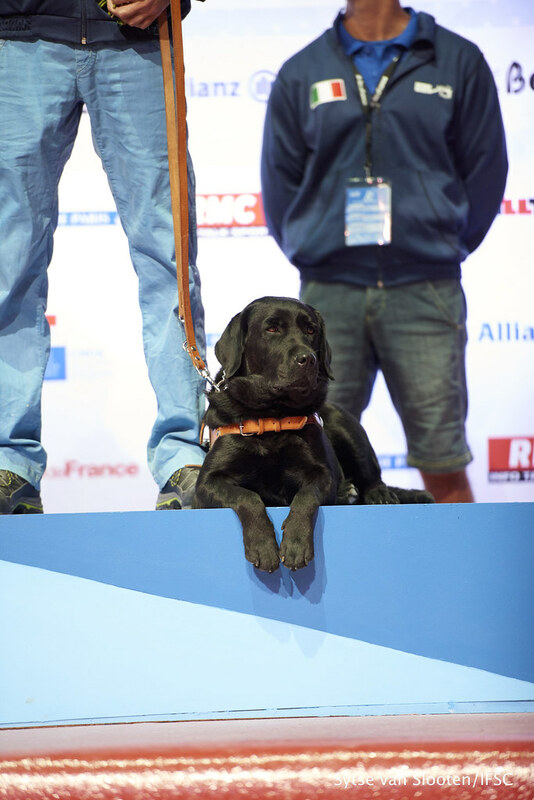 All finalists offered a spectacular show and very emotional awards ceremony to a packed audience! 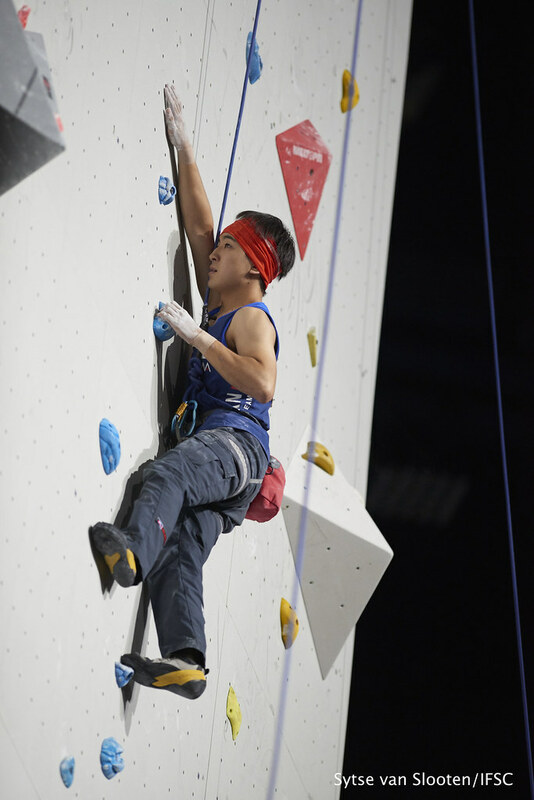 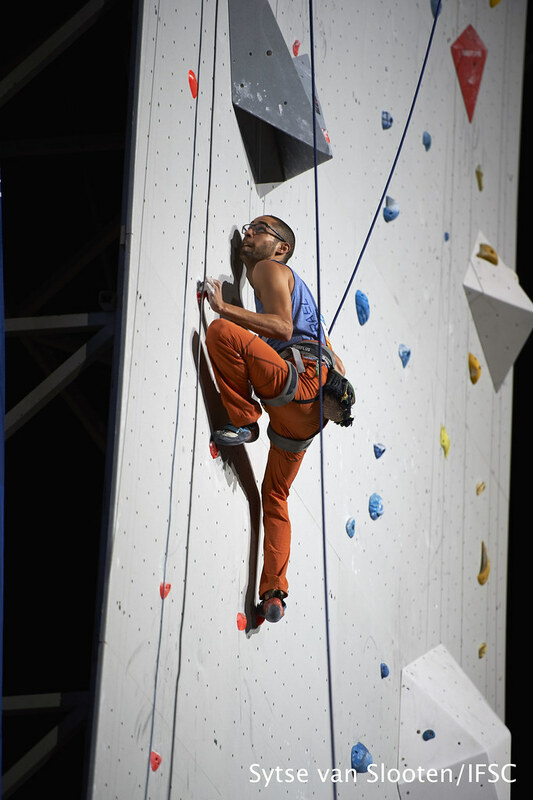 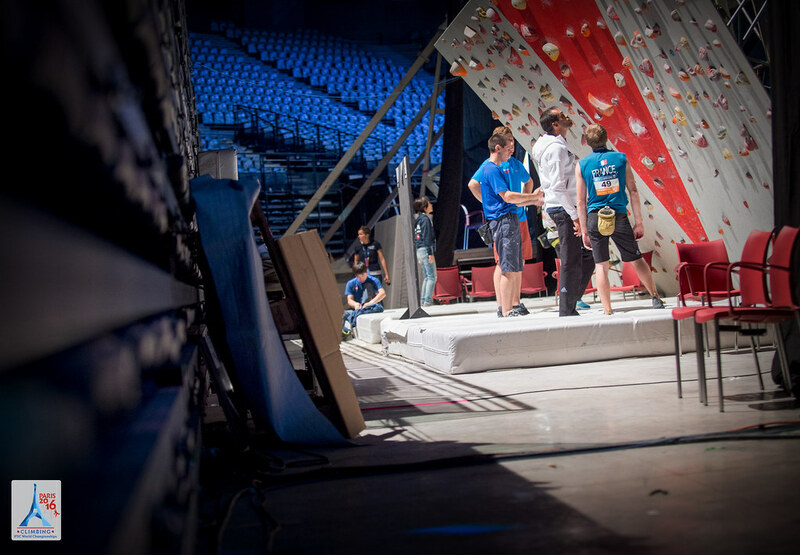 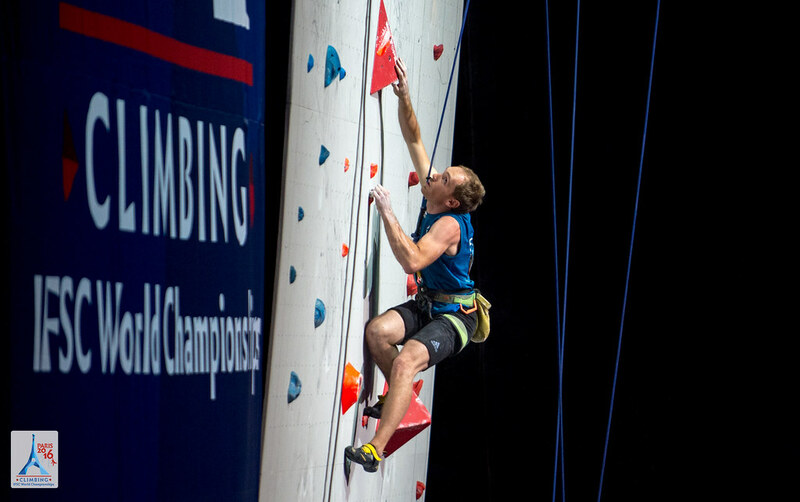 Thousands of Sport Climbing fans quieted once again on Saturday for the Men B1 Paraclimbers. 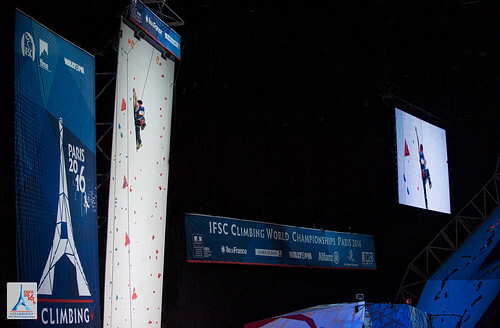 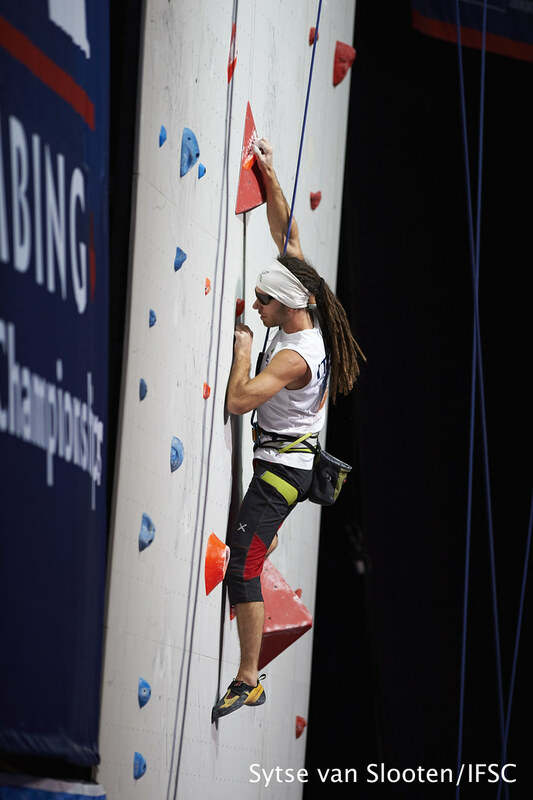 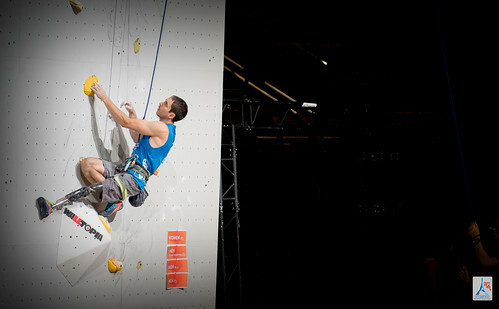 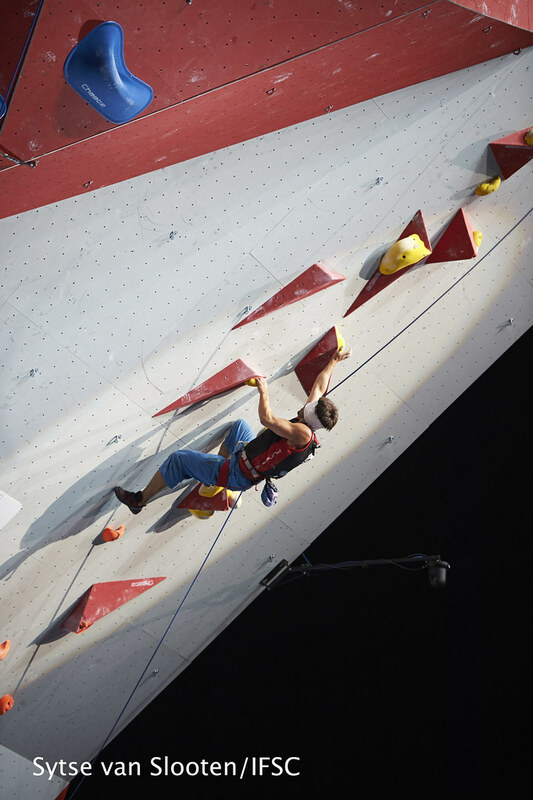 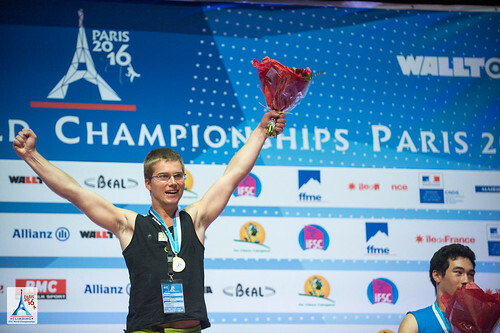 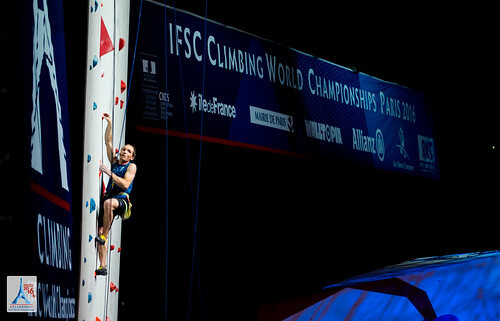 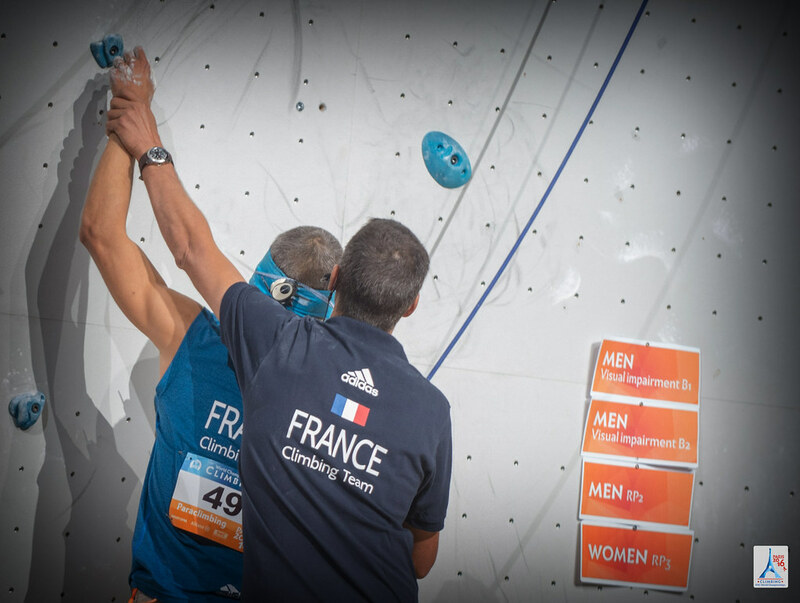 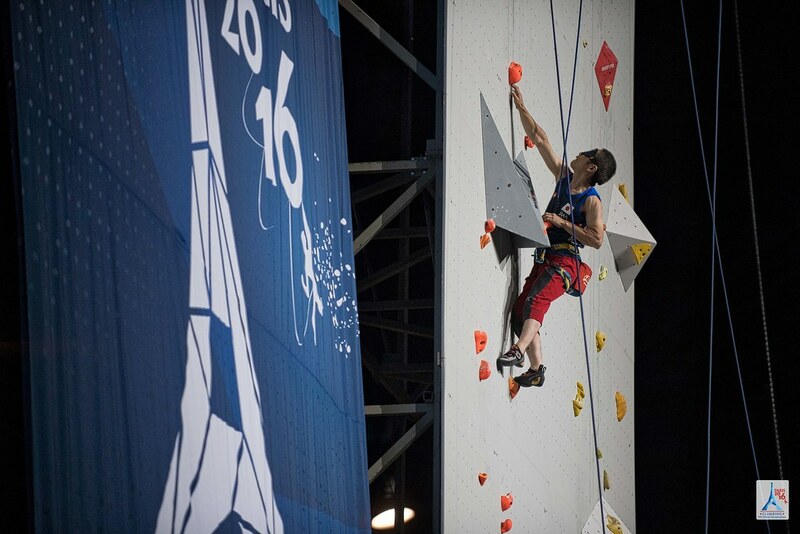 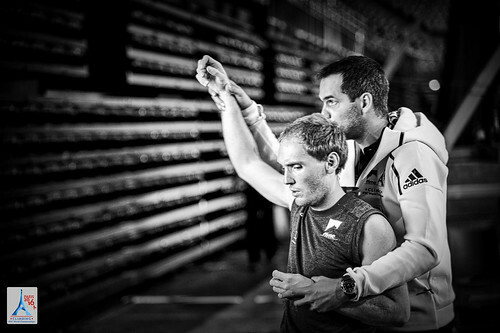 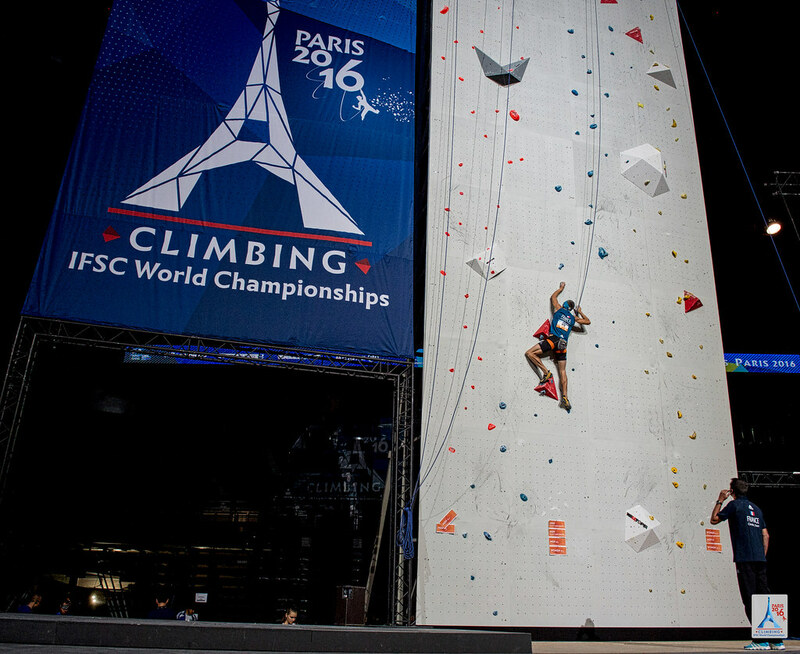 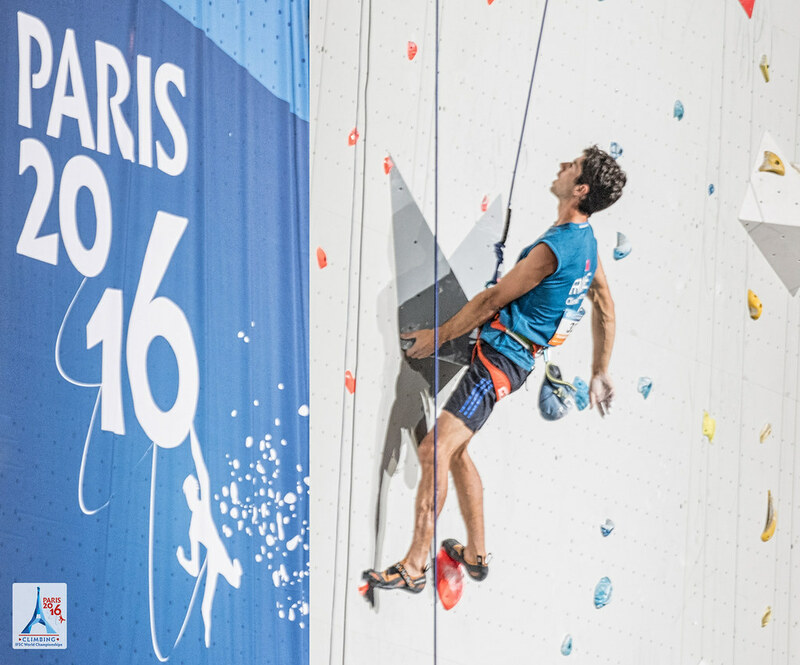 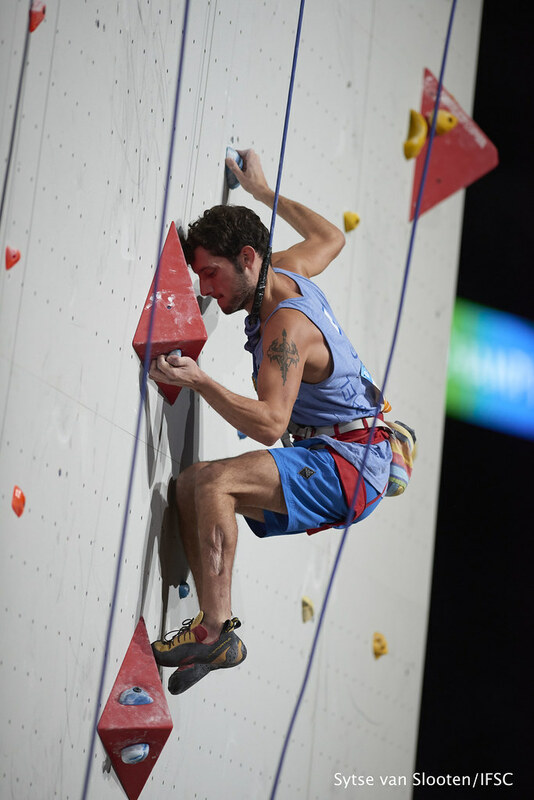 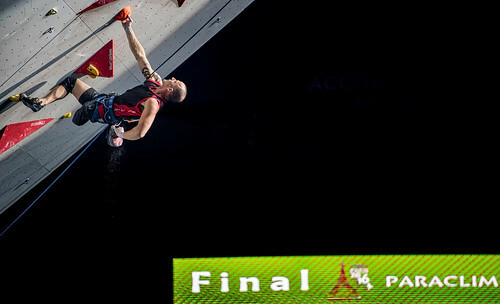 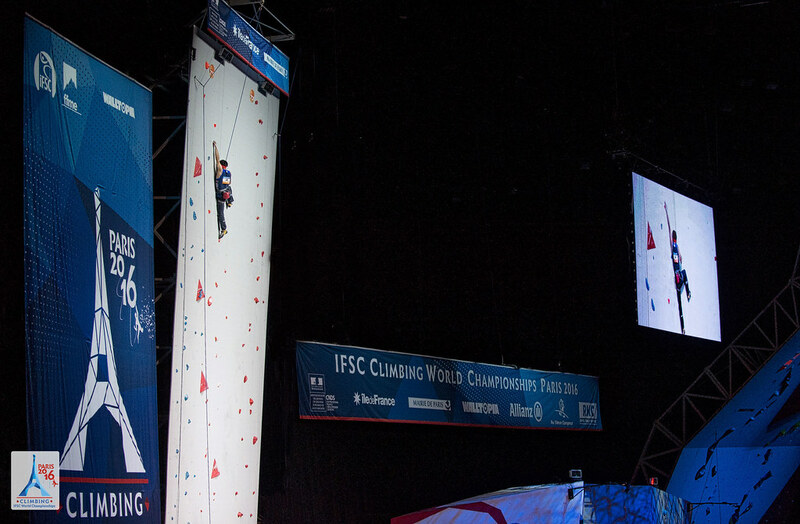 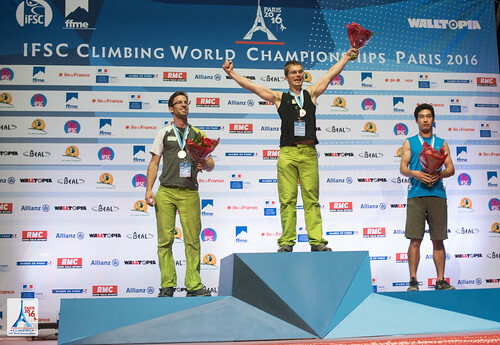 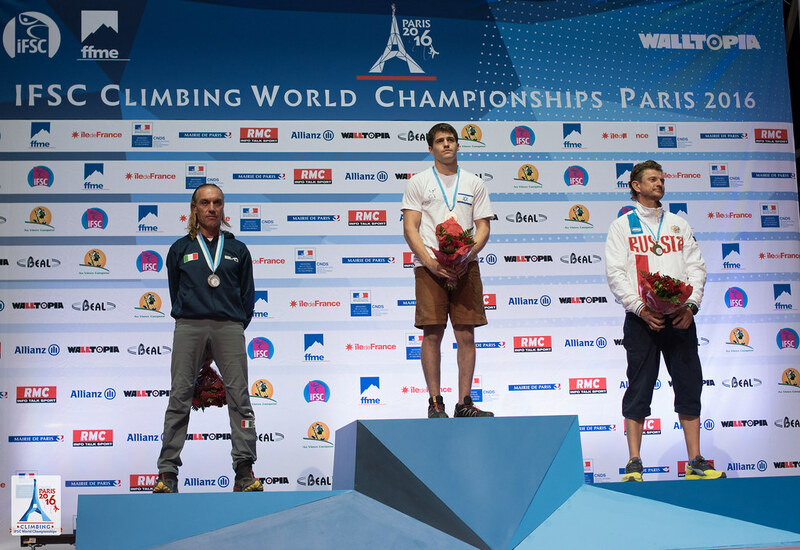 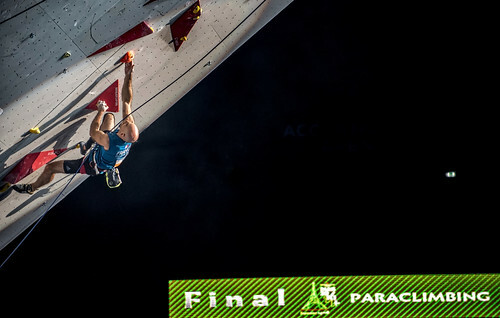 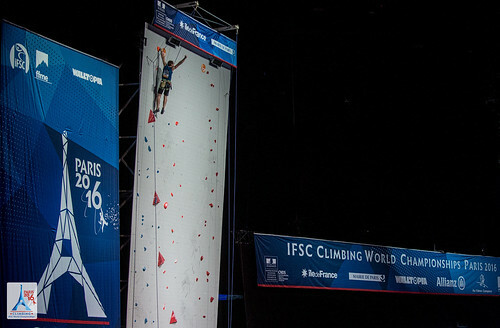 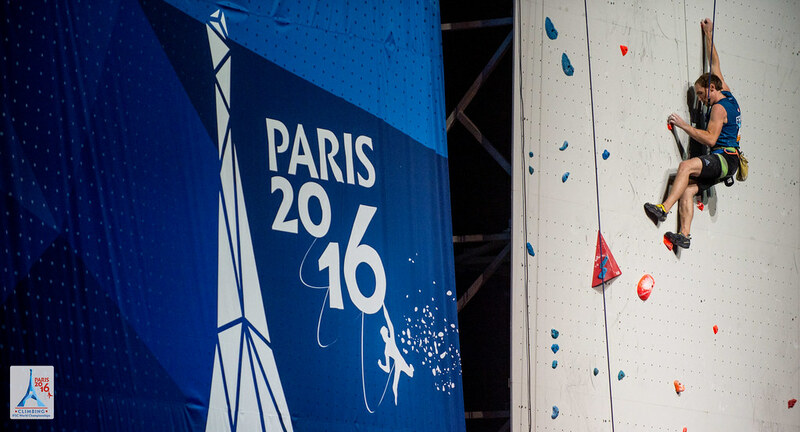 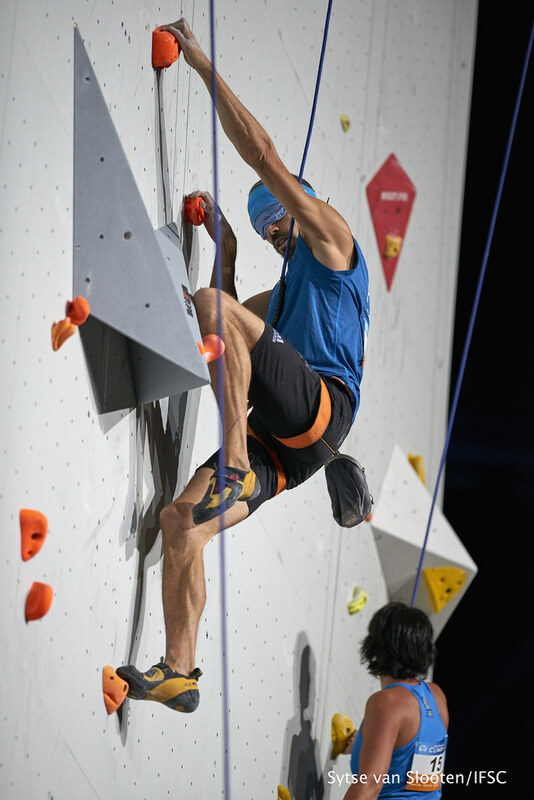 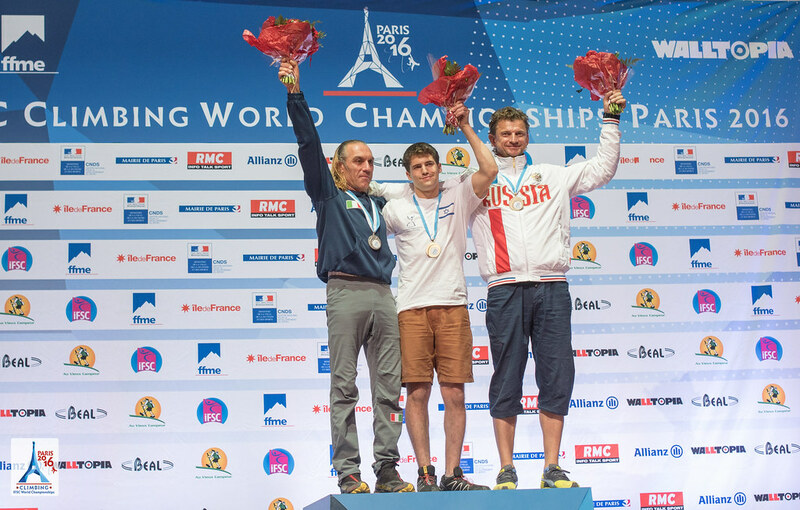 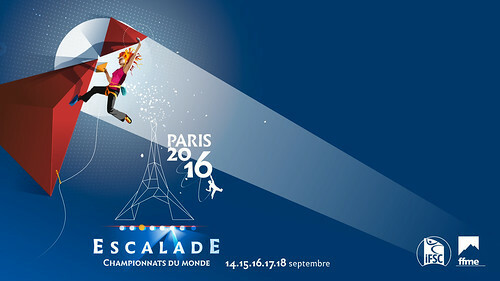 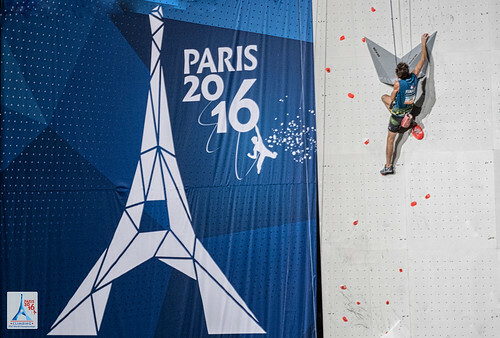 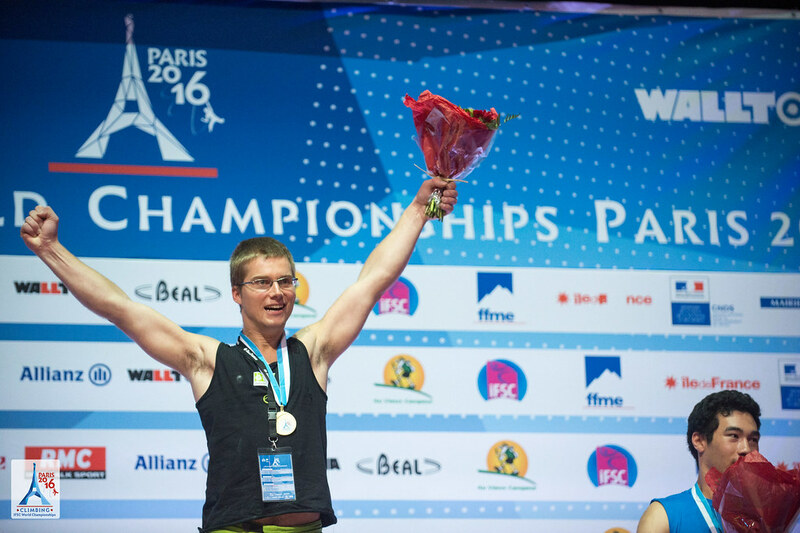 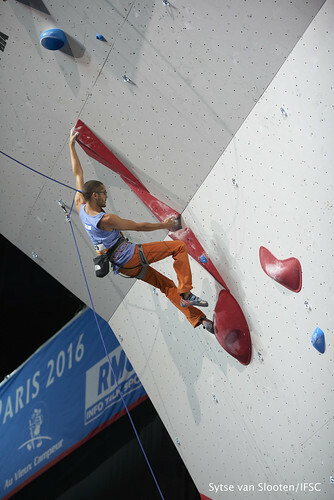 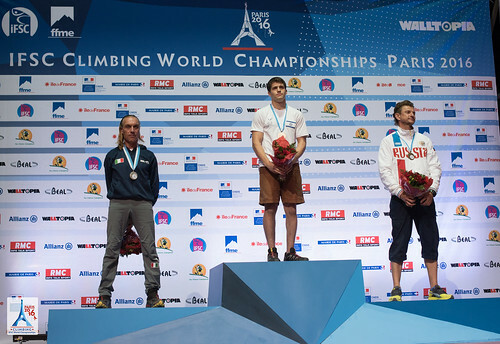 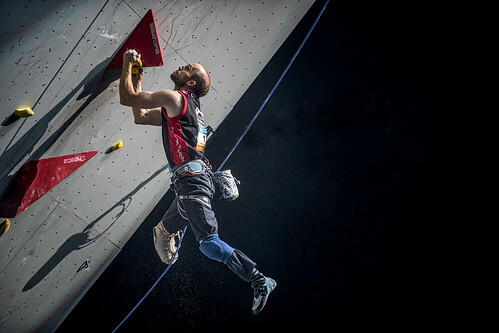 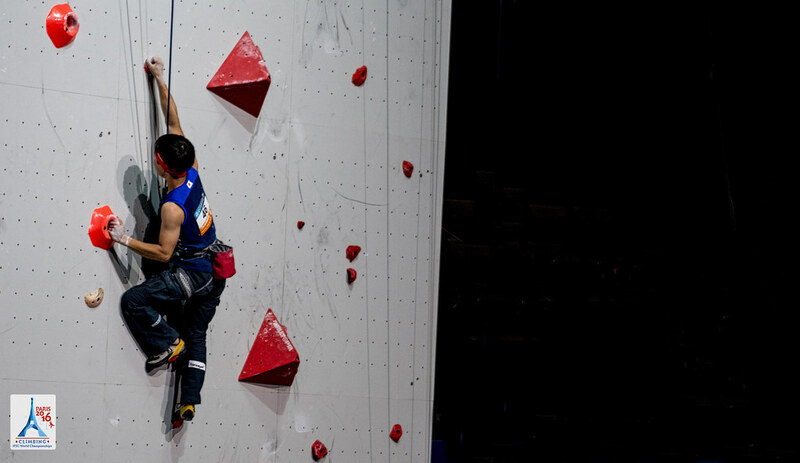 Nicolas Moineau, winner of the 2012 IFSC World Championships in Paris, was the first Athlete on the steep Finals wall for France, and his endurance earned him Silver. 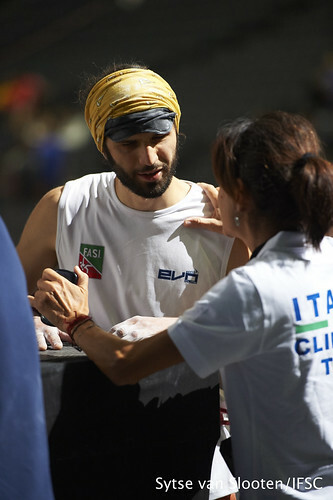 Matteo Stefani fell a few holds earlier, but the Italian still touched enough holds to stand on the podium. 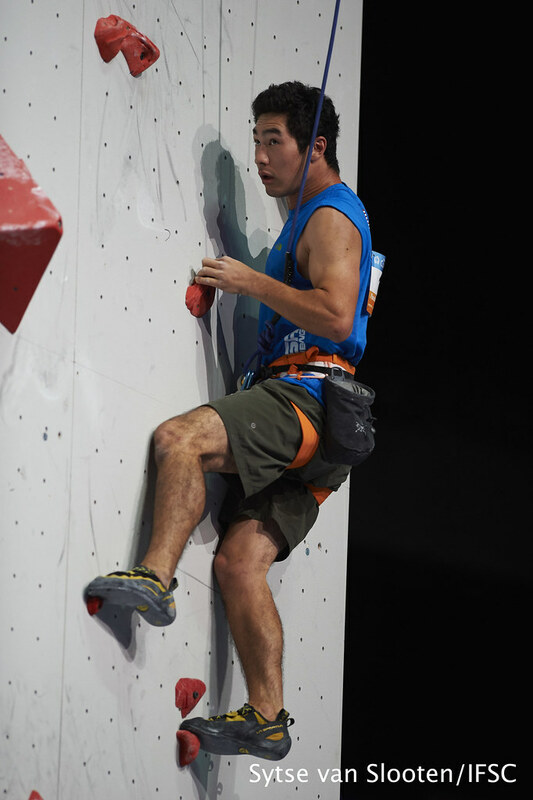 Climbing higher than them both was Koichiro Kobayashi of Japan. 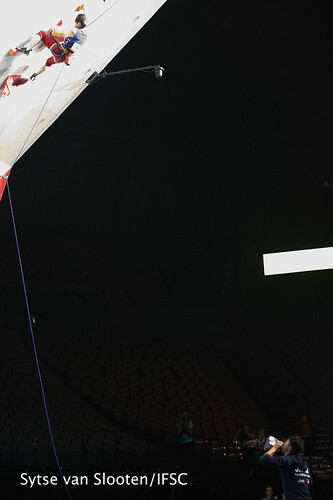 The reigning world champion fell one move from the Top for Gold, with thousands of excited fans applauding below him. 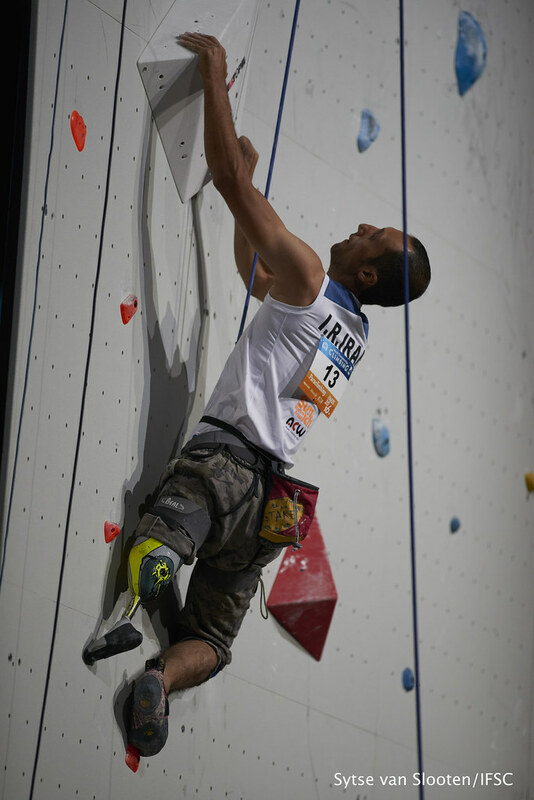 Men AL-2 finalists impressed at the AccorHotels Arena as well on Sunday. 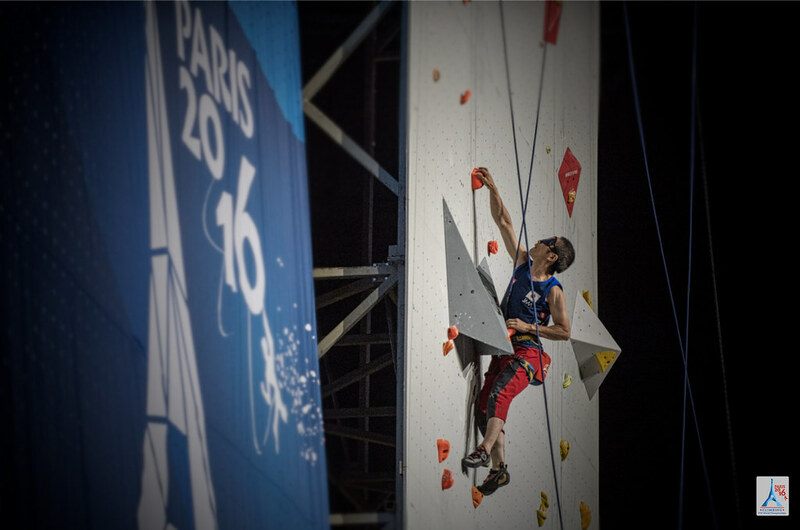 Julien Gasc got the crowd roaring by passing the high point of American Ronald Dickson, runner-up at the IFSC World Championships in 2014. 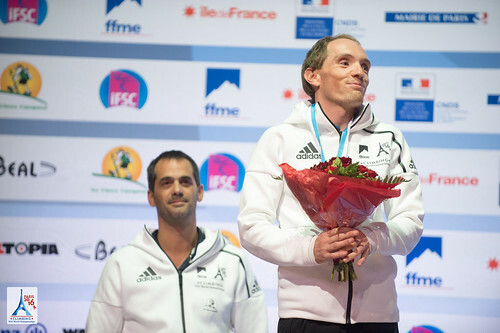 The Frenchman wore the Silver medal this year and was also awarded with a wealth of support from his home crowd. 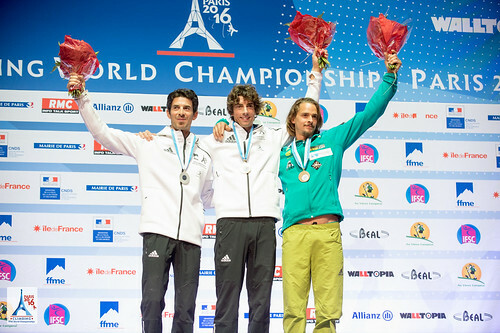 Two Athletes from Spain joined him on the podium. 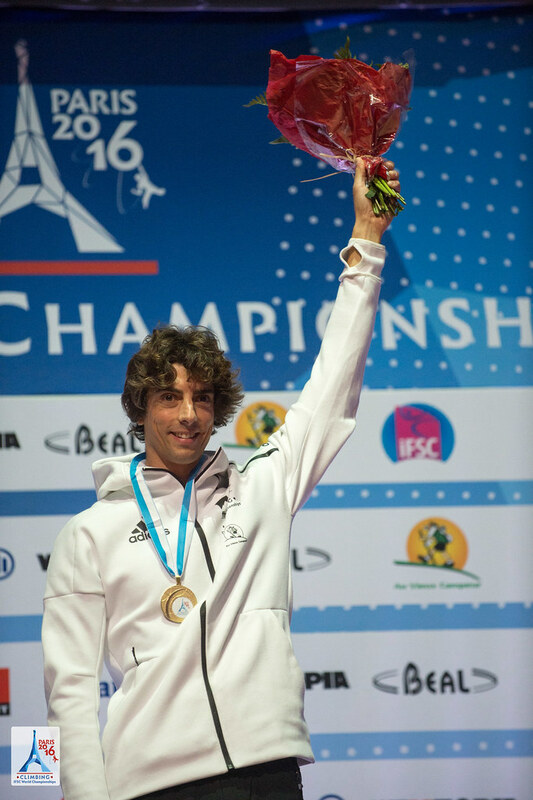 Iván Germán Pascual fell at Dickson’s mark but won Bronze due to a countback to Qualifications. 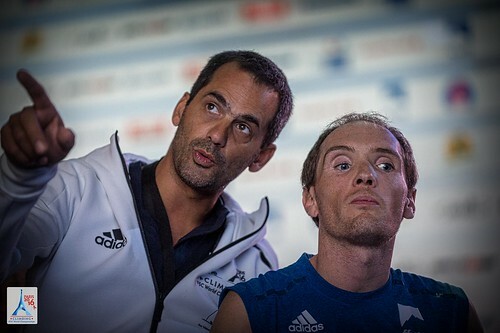 Expectations of what was possible on this Finals route changed after Albert Guardia Ferrer’s inspiring performance. 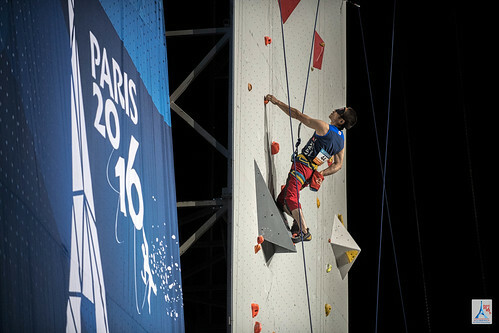 The Spaniard climbed more than ten holds further than the field, and the fans in Paris showed their appreciation with a standing ovation.